If you are a web entrepreneur then it’s your job to keep one eye on the internet and on technology in general to find out the up coming trends and systems that will affect your existing business models and that could provide you with new means to start making money. The mistake that many people make though is to keep their eyes pinned on Wired and on smartphones, and to pay no heed to some of the other forms of technology such as computer games. It might be a form of snobbery, or a failure to recognize the impact that games have on the technology market, but there are lots of good reasons to keep an eye on the games industry and what it’s doing. Here we will look at some of those. First of all, games consoles and games themselves are innovative. Computer games are designed to be entertaining and so this is a great place for manufacturers and designers to experiment with concepts. Even if they don’t really serve a practical use, novelty is a great seller of games and it won’t matter in the long run. If you look at some recent consoles then it’s easy to see just how impressive this innovation is. For instance the ‘3DS’ – not only does it make very novel use of having dual screens, but also of 3D which doesn’t require glasses. As a web developer you have to ask yourself whether this is something that’s likely to be fond in more forms soon and how you can take advantage of that. And that’s not all the 3DS offers either – it also has augmented reality, clever use of ‘always on’ wireless and more. 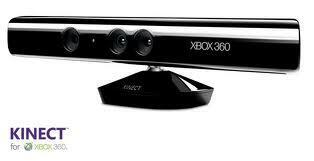 Then there’s the Kinect – an incredibly powerful piece of motion sensor technology that many hobbyists are using for purposes other than games – someone has even created a Minority Report style web interface. Again the question is whether this is something you should integrate into your sites, or whether it’s something you should be trying to back. As a testing ground, games are also highly informative of how people respond to certain technologies and what is likely to be a hit. Because new technologies are tested here it’s possible to see which ones really have legs and which ones don’t. You can also get a lot of inspiration from the various different interfaces and graphics styles and you can learn a lot from their business models (such as the rapid iteration cycles seen in Facebook games currently). The games industry is also a great resource for hardware and if you enjoy tinkering then you can make some impressive things by using this existing hardware in new ways. 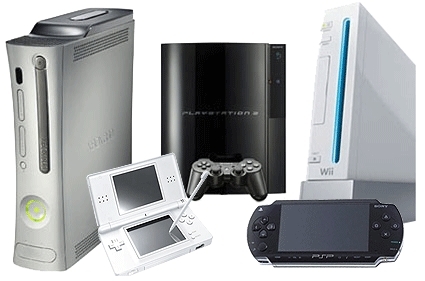 Much of this hardware is incredibly powerful, and often sold as a loss leader with manufacturers hoping to make their costs back in game sales. In fact it’s now common knowledge that the military recently chose to build a supercomputer out of old PS3 parts because that was the cheapest way to get them commercially. In short then, if the government are building super computers out of these technologies, then they’re definitely worthy of your attentions. Hi there, I do believe console games have had a great impact on society. Games are also useful to increase mental awareness. But in so much other aspects it really make you waste your time. And the more realistic they get the more addictive they are. I really like the kinetic device, it is not just for gaming, I have known about people using it for creating dance routines. Wonderful blog.. useful post. I appreciate with your article. I agree that games are a great way to test the market on new technology. I am looking forward to the new ones when they come out. They do need to upgrade their processing power. I just want Nintendo to come out with a work horse console. No more crappy graphics and "ooh I can control it with my remote!". I want xbox/PS3 level graphics and a more complex motion control system. I am looking forward to seeing what Microsoft, Sony, and Nintendo have in store for their next generation. It has been about 5 years since the current generation went to market, and in terms of processing power, they are starting to show their age. Most computer computer graphics cards made within the last two years are much more powerful than the current consoles in-terms of processing power and number crunching. Can't wait to see what kind of power the next generation of consoles will have. As I have heard, Sony will be not be announcing any new console any time soon. On the other hand, Microsoft will be announcing its next console next year perhaps! I do not think the next Xbox would be called Xbox 720 as most people call it 😛 I keep wondering the awesome graphics that the next gen consoles will provide. With already so many great games coming out for the current consoles, what else can we expect from the future ones ? Just have to wait!